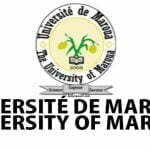 A printed application form duly filled in by the candidate on the website of the School: http://www.enspm.univ-maroua.cm. A certified photocopy of the birth certificate dated not more than three (03) months. Transcripts of the Probatoire or GCE / OL, the Baccalaureat or the GCE / AL signed or certified by the competent services. A certified photocopy of the baccalaureat or GCE / AL, or any other diploma recognized equivalent by the Minister of Higher Education, dated not more than three (03) months. A medical certificate issued by a medical officer from the Administration testifying that the candidate is physically and medically fit for teaching. An original receipt Express Union or an orange money receipt upon payment of twenty thousand (20,000) CFA as registration fee delivered. Competition fees are not refundable. Four (04) passport-size photographs (4×4). Working Candidates should attest their experiences in the field. A declaration of honor indicating that the candidate is a worker or not. An authorization to sit for the examination from the Heads of Ministerial Departments for civil servant candidates. The programs of the competition are those of the Baccalauréat or the CGE / AL. Marks for each written test will range from zero (00) to twenty (20) according to the above-mentioned coefficients.